Several parts of the United States have been torn apart recently by Hurricanes Harvey, Irma, and Maria. Hurricane Harvey caused devastation to the residents of Texas and Louisiana, wrecking everything in its path. Rainfalls reached over 51”, a record for rain caused by a single storm in the lower 48. Hurricane Irma affected Florida, Georgia, North Carolina, and South Carolina, causing immense flooding, countless trees to be uprooted, and millions of people to be without power. Hurricane Maria made direct landfall on Puerto Rico, completely dismantling the U.S. territory and drowning it with several feet of rain. Homes have been destroyed, people and animals have been injured or had their lives taken away, roads and vehicles have been damaged, and complete cities have been flooded, their residents having to evacuate and take shelter elsewhere. So many people have lost absolutely everything. Hurricanes Harvey, Irma, and Maria have displaced millions of people and caused insurmountable damage to the areas in their destructive paths. It’s hard to imagine the utter heartbreak and anguish those affected by the hurricanes are feeling in the aftermath of the storms. Now is the time for those who are able to rise up and assist the residents of the affected areas. 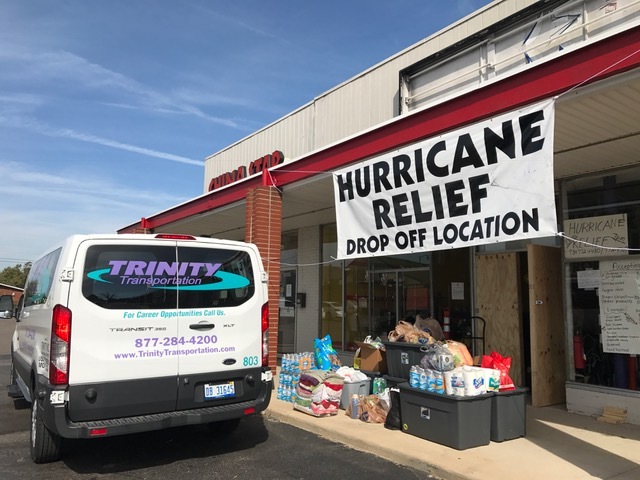 Trinity Transportation sent down five motor coach buses in the first few days of Hurricane Harvey to assist with transporting citizens, and decided to run a disaster relief drive for Harvey, Irma, and Maria victims from September 5th – 22nd. Trinity employees and the residents of Metro Detroit filled 9 large tubs with supplies for those affected by these hurricanes. We are proud of the turnout and blessed to be able to help with the relief efforts. 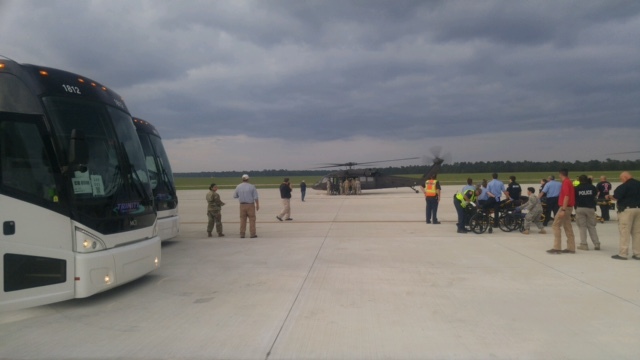 For more photos from our disaster relief drive, please visit our Facebook Page.